Chuck/Nate Sims!!!!. . Wallpaper and background images in the Gossip Girl club tagged: gossip girl ed westwick chuck chace crawford nate archibald sims bass. 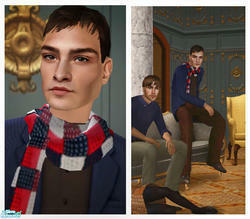 This Gossip Girl fan art might contain portrait, headshot, gros plan, and closeup. ... Who's laying on the floor?